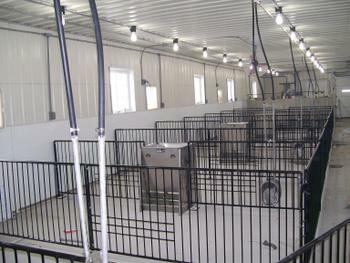 Gates designed and specially-built for your show barn. 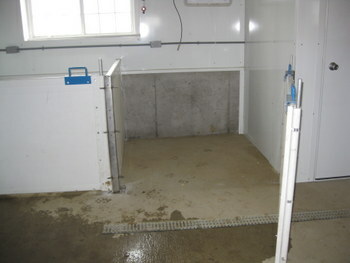 Pen sizes available to work for your show animals. 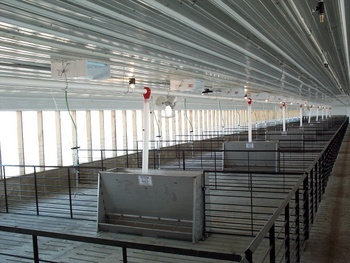 Show gates are 36” tall overall. Gate is 34” tall mounted 2” off the floor. 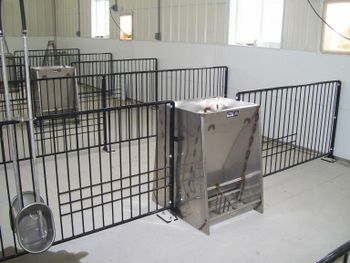 Alley pen gates are a pin-and-latch system with door jam swing-away style. Alley gates swing open like a door. Easy to open and close for any age of child or adult. 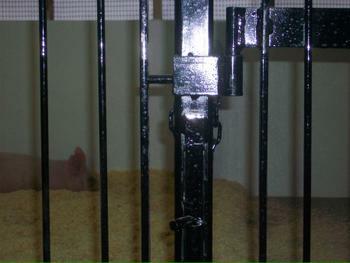 Divider gates are 7/8” solid rod on top and bottom of gates. 3/8” solid vertical rods on 3” center. 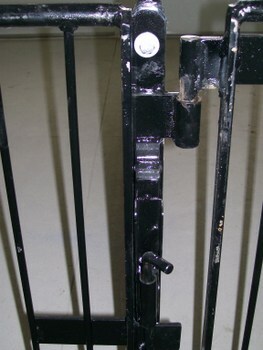 Alley gates are 1/2” sch 40 pipe on top of gates and 7/8” solid rod on bottom of gates. 3/8” solid vertical rods on 3” center. 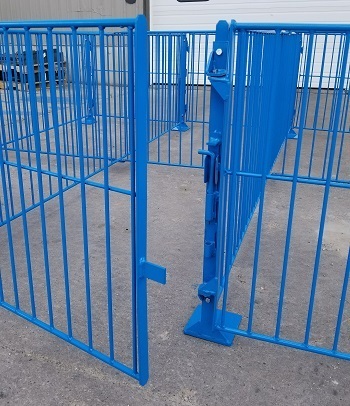 Optional clip-on feeder rods welded on to divided or alley gates. 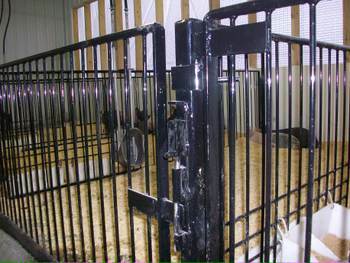 Gates designed and specially-built for fairground or show barns. 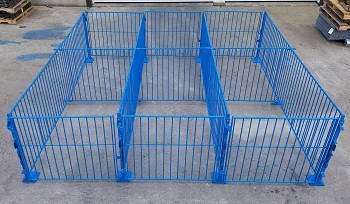 Gates are custom build to your size & specifications. Fair Gates are 36” tall overall. Gate is 34” tall mounted 2” off the floor. 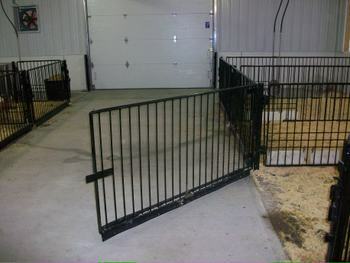 Alley pen gates are a quick-latch system with no drop rods. 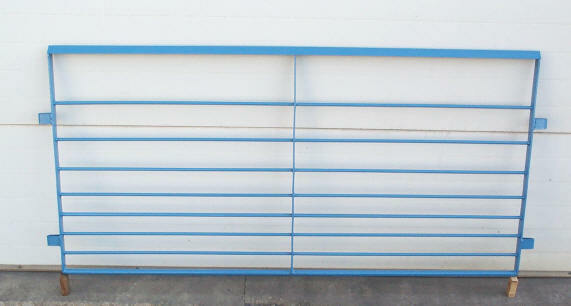 Alley and divider gates are 5/8” solid rod on top and bottom of gates. 3/8” solid vertical rods on 3” center. 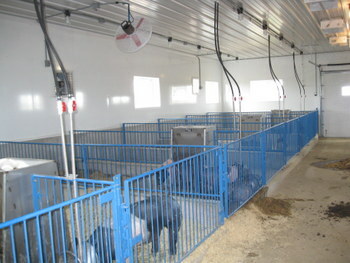 Optional clip-on feeder rods welded on to divider or alley gates. Dip Painted. Blue paint. Optional: other colors available if powder-coat painted. (additional charge). 7/8” solid shaft on bottom rod for extra durability. 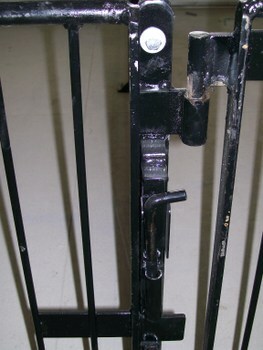 Economical design has pads and posts mounted directly to the gates. No need to pay for separate corner posts. 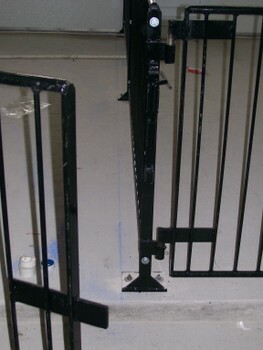 Top of each gate is constructed of 1-1/2” angle iron.